A place to talk about any subject you wish. Sports, News, Other Hobbies, or simply to introduce yourself. Discussions about all meetings, field trips, frag swaps, etc. Also check the calendar. If you experience a bug or have a suggestion regarding the website, please report it here. Please check past posts before adding. Thanks. 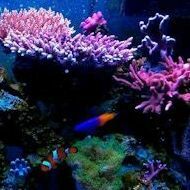 This forum is for anyone that is simply new to maintaining a marine aquarium. Where members can post info and ask questions about one anothers setups. Brag about your own stuff or humbly accept the envy of others... Also feel free to bombard this area with images from your tanks, asks questions about making those images better or give out pointers to those requesting aid. Need sources for equipment, livestock, DIY vendors, glass-drillers, etc? Ask for help here. Want to review service or goods provided from a vendor? Rant/Praise here as well.